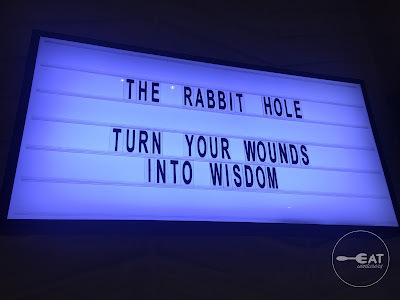 After a long, tiring day of work, one can head out to The Rabbit Hole. 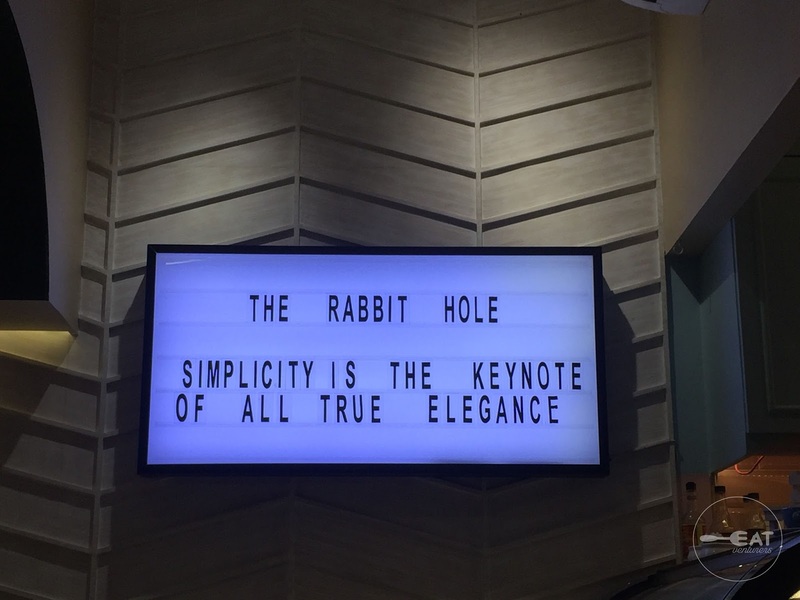 No, we are not talking about Wonderland or you going crazy. 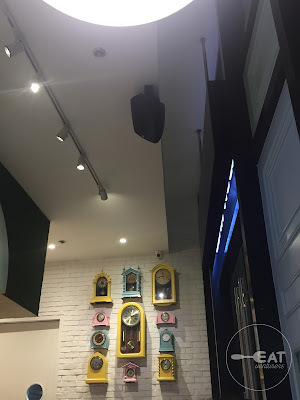 We are talking about this hip restaurant located in Makati City. It is the second time we visited this place. The café-restaurant is well-designed from its cozy chairs to interesting fixtures. It is Instagram-worthy. “All we really want is to share our perky interiors, heartwarming meals and sumptuous desserts with you,” an excerpt of their witty welcome message read. 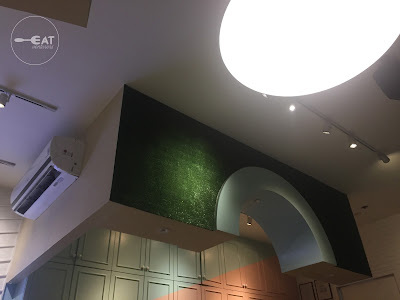 Compared to our previous visit, which also happened to be their soft-opening, we noticed that there had been price increases. Some new items were added to the menu. 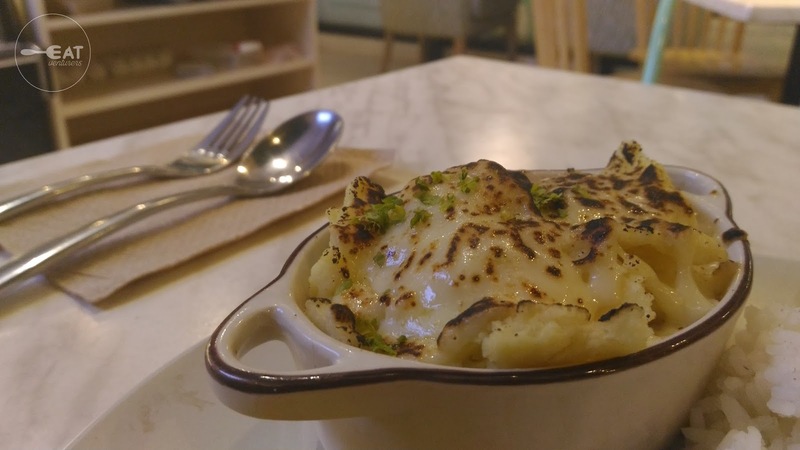 The Rabbit Hole offers typical Filipino and Asian cuisine, as well as cakes, breads, sandwiches, coffee, shakes, soup, salads, and even beer worth P50 to P650. Breads are sold at 50 percent off before closing time. If you want to bring in your friends and family, they also offer group meals called The Rabbit Crew. 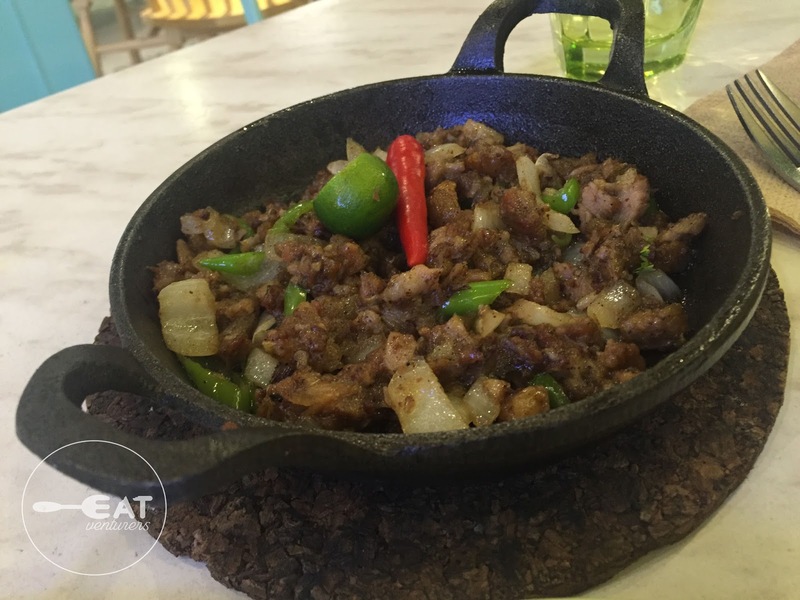 They have three choices, Chicken Basket (P480), Filipino Favorites (P550), Crispy Pata Platter (P650) all good for four people. On our first visit, we tried their squash soup called My Pumpkin (P95 –old price),Pork Sisig with rice (P130 –old price), and Creamy Beef Casserole (P195 –old prices). Their squash soup was a little bit too thick and overcooked, while their sisig was not extraordinary. However, we were in for a treat when we tried their beef casserole, which we found scrumptious. Heads up though, The Rabbit Hole is generous with their serving of rice. 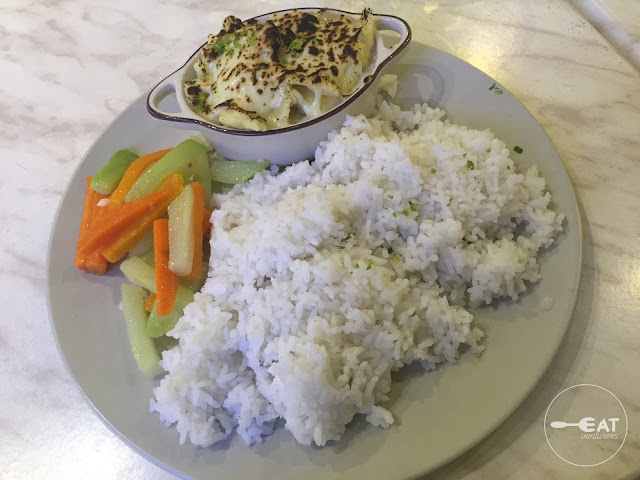 Even the beef casserole is served with rice. 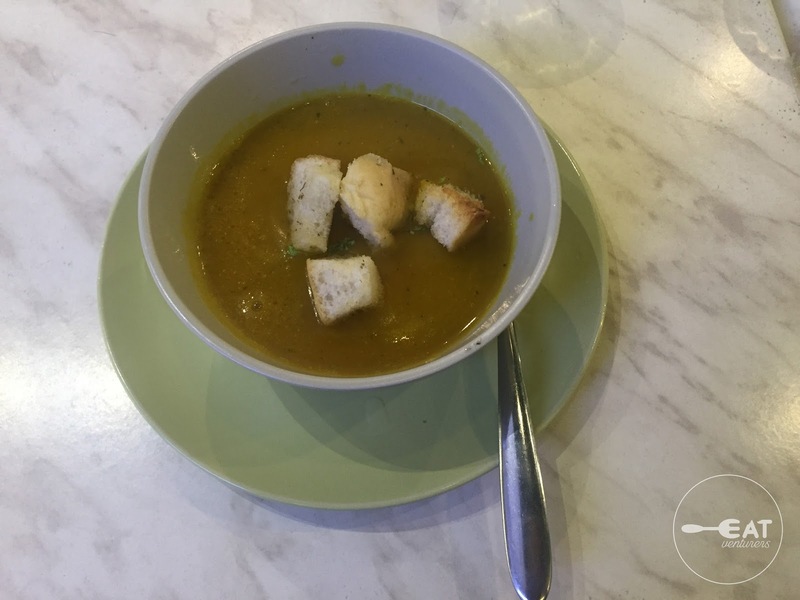 On our second visit, we ordered My Pumpkin (P115 – new price) again. 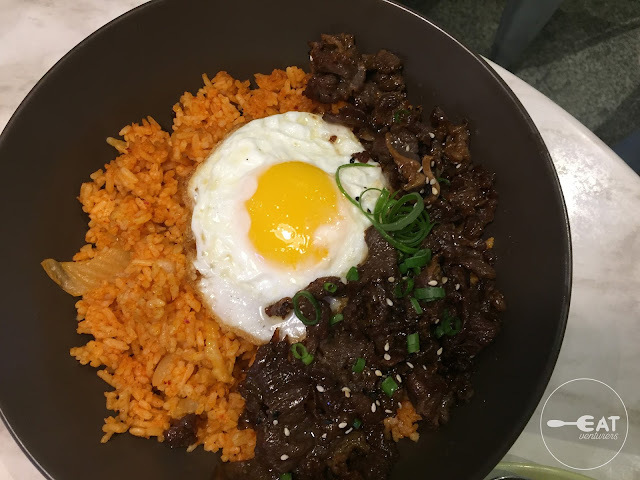 We also tried their new offering Korean Beef with Kimchi Rice (P190), and Fish Parmigiana (P195). 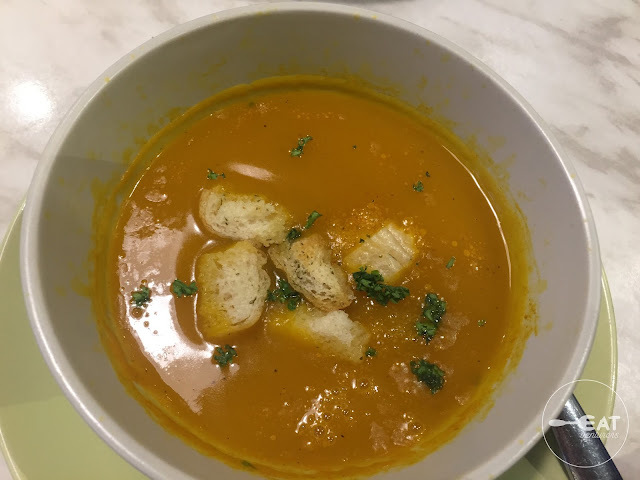 The squash soup had a better consistency and lighter color than our previous try. It lacked a bit of salt so the flavors were not elevated enough. The same is true with their Korean Beef with Kimchi Rice. The spiciness of the rice overpowers the other flavors. We are guessing they added more Gochujang to add color to the rice. But for us, more kimchi, less spicy. The rice was a little bit dry too. Their Fish Parmigiana, on the other hand, was really good. 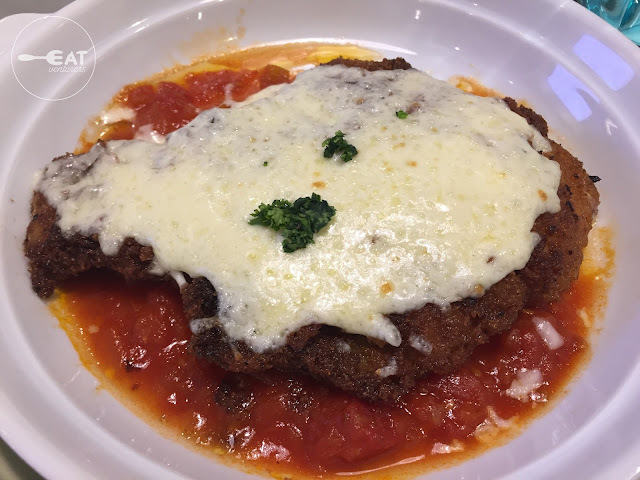 They used dory fish which was well-seasoned as the blandness of the tomato sauce complements well with the saltiness of the fish breading. It was The Eatventurers' favorite. 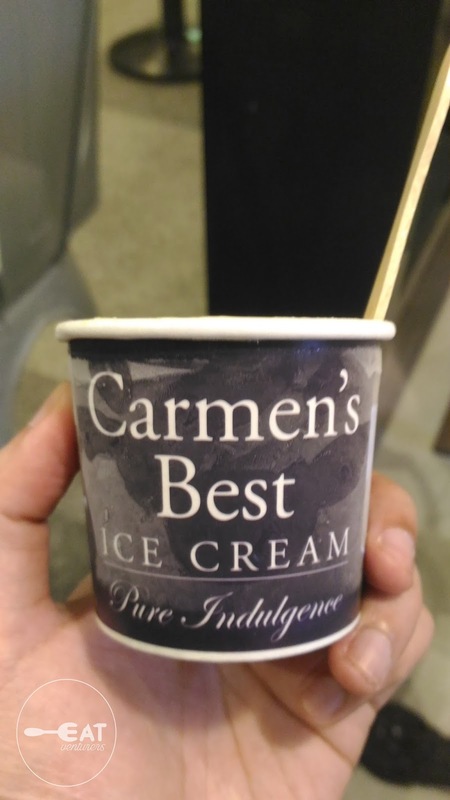 Since they also offer Carmen's Best ice cream in small cup, we also tried it for only P120. 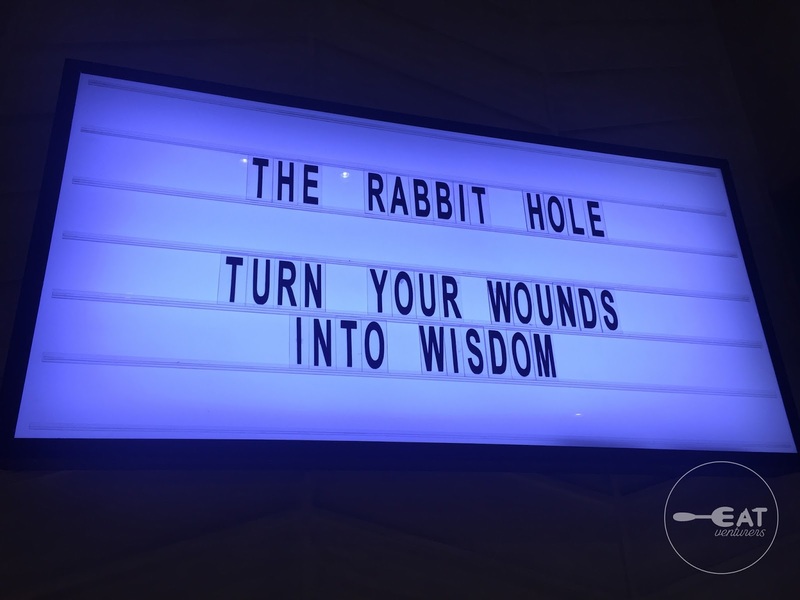 True to their welcome message, The Rabbit Hole made sure that great food and good friends complement.